The Sunshine Coast has a hugely varied landscape, so it stands to reason that there will be many blocks of land that simply don't suit a standard house design. 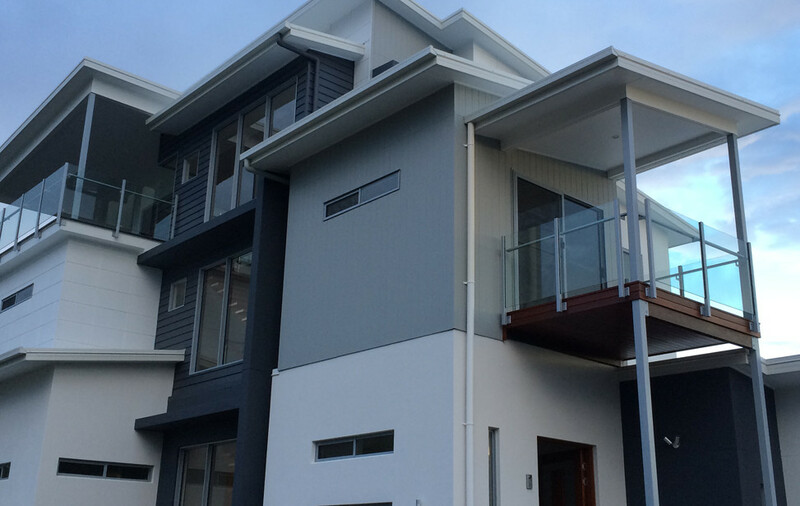 Or perhaps you want a home that truely expresses your individuality or captures the amazing view or beauty of your little piece of our spectacular Sunshine Coast. That is why we provide a free inhouse design service. When you come to us whether you have an idea of what you want or not we will help you achieve your vision. First we will meet with you to discuss your needs, budget, land and ideas. Then we will have an onsite inspection to ascertain aspect, slope, access and views. In consultation with you we will come up with a design that suits you and your land. We will discuss design, pricing as well as any site constraints. When you are satisfied with your home design and price you can signup to begin the exciting process of creating your new home. You will be provided with personalised login details so you can monitor the build every step of the way online. As well as this our personal, family service means we can meet or talk to you at any stage in the process to help you with advice and support. To keep you up to date we use co-construct. Before you come to discuss your home feel free to peruse our gallery and designs for inspiration! At Dall Designer Homes enjoy the freedom of designing your own home. To achieve the best outcome for your block we offer our services and a free site consultation to inform you of possible designs and budgets that will suit your needs. Don’t hesitate to Contact Us.